The deck is stacked with oddball characters and outrageous twists in one of the year's most hilarious and original comedies. Compulsive gamber John (Steve Buscemi) had finally beaten the habit, started a new life, and said farewell to Vegas for good… or so he thought. When his new boss sends him back to Sin City to investigate a shady insurance claim, all the chips are back on the table. 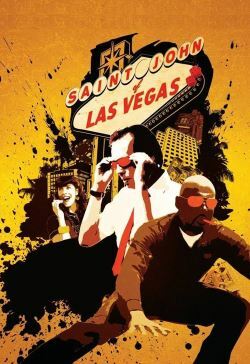 Romany Malco, Peter Dinklage, Emmanuelle Chriqui, Tim Blake Nelson, and John Cho complete a royal flush of an ensemble cast in this laugh-riot comedy that's loaded with high-staks temptations and low-down crooks.